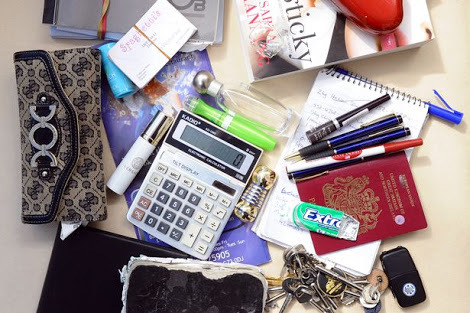 WOMAN, WHAT’S IN YOUR HANDBAG?! 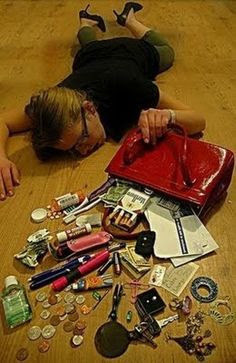 The things some women carry in their bags just tire me! You will see a lot of women carrying really ‘fly’ bags in different shapes and sizes, but trust me, you don’t want to know the contents! I was in the market 2 days ago (as much as I hated to be there), when one babe with 200% human hair came to where I was, to buy veggies. While I was busy checking her handbag out, and I’m sure I wasn’t the only one, her left high-heeled shoe got stuck in a hole and she mistakenly fell…with the handbag. The contents of the bag was so shocking, we forgot to help the woman up but concentrated on helping her pack the abominable contents back into her bag. I was so ashamed for a few seconds. Amebo! You guys like gist ehn! It was all sorts of nylon bags and newspapers in the bag O! The only thing that made sense in the bag was her purse. Even the purse would have been okay for the market. But seriously, the market place is the wrongest place to do ‘shakara’. In fact, I’ve learnt that one should dress down when going to the market or else those women will increase the bill! This entry was posted in NHW Tales and tagged market, purses, untidy handbags. Bookmark the permalink. Lol @ 200% human hair! !